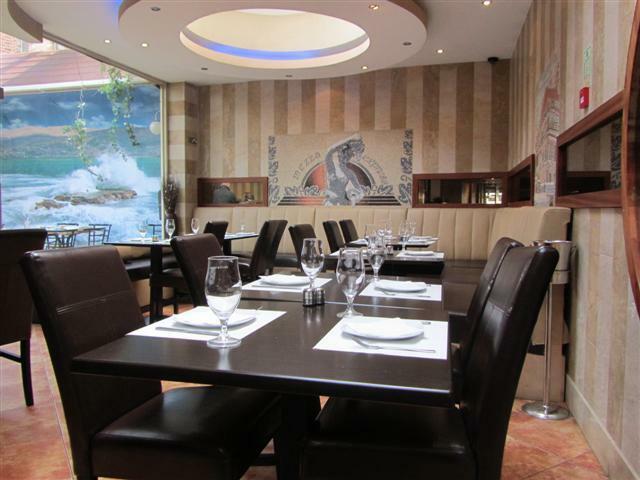 Mezza Express opened out into a lovely organised spacious dining area. The back of the restaurant had a big glass front that looked out onto an outside garden area. I thought that this was part of the restaurant but the waiter told me that it was part of the coffee shop next door. The staff and service were fantastic. They made us feel very welcome and comfortable. Even after we had finished our meal and didn’t want any coffee or dessert, we just said to the staff that we were having a nice catch up amongst friends. The waiter then said that that was lovely and that he was happy that we were there. It was all very genuine and it’s not often that you get that level of friendliness from the staff. Mezza Express had a set menu which I chose. But on the menu, there was stuffed vine leaves and tabbouleh, both of which I am not keen on. So, I asked if it would be possible to change those dishes to falafel and the spinach filled pastry. The waiter said that was absolutely fine. So as well as the two dishes mentioned, the starters were made up of hommos and grilled halloumi cheese. All were great and were served with warm flatbread. My friend had the Lebanese sausages and the Samke Harra fish ratatouille, both of which she enjoyed. We decided to share the main course and went with the waiter’s suggestion of Mousakaat with rice. 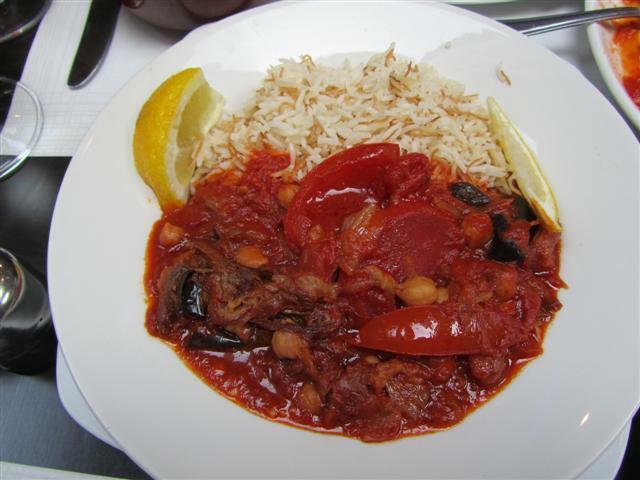 The baked aubergine with chickpeas and tomatoes was a big portion and all the flavours were good. There was plenty of aubergine and tomatoes in the dish. 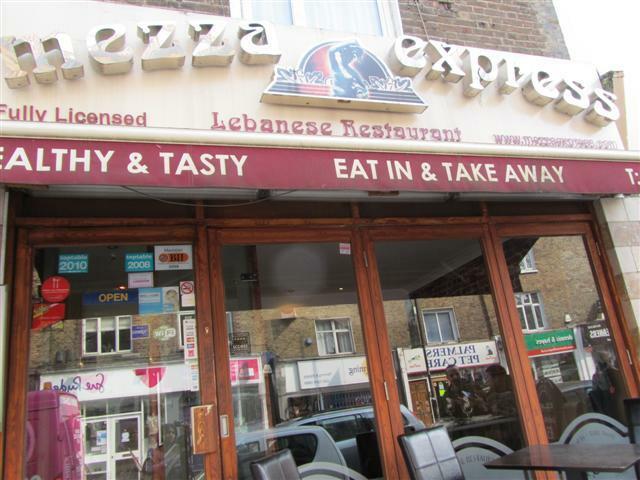 Mezza Express gave us a thoroughly enjoyable afternoon meal. It is definitely a place that I would return to.